An additional cardholder fee of $25 per person p.a. Credit cards earning Qantas Frequent Flyer points tend to have high annual fees, especially if you want to earn more than 0.5 QFF points per dollar spent. So it’s not too surprising that Qantas, keen to promote its own frequent flyer program, should position its entry-level card close to the bottom of the market in terms of annual fee cost. But there’s nothing budget-level about the first purchase bonus points, the competitive QFF points earning rate and the complimentary benefits. The $49 annual fee is very low for a Qantas points card with complimentary benefits. Many cards allow you to have at least one additional cardholder on your account without paying an extra fee. This card is not one of them. You’ll pay $25 for each additional cardholder, an annual total of $74 if you want a card for your partner to help you earn points. The threshold on AUD spending may occasionally turn out to be an annoyance. Directly-issued AmEx cards have no points cap or threshold, but there are many other cards with a similarly low threshold or even an absolute monthly cap on points. No QFF points can be earned on spending with government bodies (such as the ATO) and BPAY payments. Spend at least $3,000 using the card in the first 90 days after approval, and you will earn 20,000 bonus QFF points. You could be winging your way to Auckland (18,000 points one-way in economy). Add the 2,250 points you would earn on the $3,000 spent to earn the bonus points, and you would have almost enough points to fly to Bali (22,500 points). You’ll extract maximum value from your points by using them for flights and upgrades with Qantas, Jetstar and other Qantas partner airlines. Generally, the longer the flight and the higher your seat grade, the greater the return you’ll get from your points. It should normally be possible to get a return of at least 0.9 cents per point on domestic economy flights, and 1.5 cents per point on long-haul economy flights. The kind of regular traveller who will derive the most benefit from this card may well be able to make good use of the dedicated Qantas Premier Concierge, giving worldwide assistance with travel, restaurant and entertainment recommendations and bookings, just a phone call away. Not surprisingly, Qantas wants you to spend money on flights as well as earning QFF points with your card. So they’ll grant you nine months’ interest-free credit on your first purchase of Qantas flights, or Qantas Club membership fees or Qantas gift vouchers, or Qantas epiQure items, once only, made within the first nine months of holding the card. Download the Qantas Money app on your eligible Apple or Android smartphone, and get instant access to your card information wherever you are: fingerprint log-in, a temporary lock on your misplaced card, your card expenditure analysed into amounts by expense type, closing balance, available credit, payment due date and more. It’s not the longest interest-free balance transfer currently on offer, but if you’re attracted by the card’s other features it could make your decision easier. You could switch to this card now, and save a little money by temporarily putting into your mortgage offset account the cash you had earmarked for repayment of your existing balance. The offer could be worth taking up if you’re prepared to forfeit your bonus points and wait for nine months before you earn any points or enjoy any of the other complimentary benefits that come with this card. Why will you forfeit the bonus points and other benefits? Because the presence on your account of a balance transfer means that you’ll lose the standard 55 days interest free on purchases until it is repaid. So you’ll be unlikely to use your card for the qualifying purchases required to activate the bonus points, regular points and complimentary benefits. This is not a card for anyone contemplating long-term debt (other than the zero-interest balance transfer offer). The purchase interest rate is 19.99 percent p.a. and the cash advance rate (and balance transfer revert rate) is 21.99 percent p.a. Rewards cards in general, and their interest rates are designed for cardholders who expect to pay off their purchase balance in full every month as well as avoiding cash advances, and this one is no exception. Compare QFF bonus points, ongoing earning rates, complimentary benefits and annual fees of competing cards. You’ll find them on our Qantas cards page in our Features section. 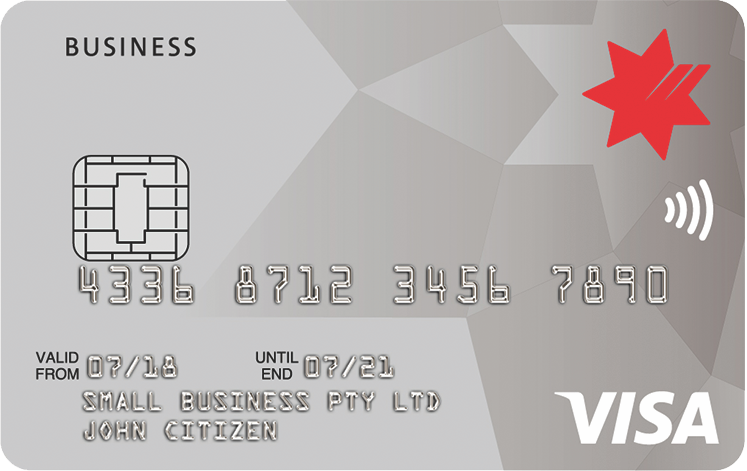 Qantas is all about travel, so it’s not too surprising that when it ventures into the credit card market it designs a card that encourages and rewards travel first and foremost. There’s no messing about with shopper’s insurance – purchase protection, extended warranty, price protection and refund protection – that you may never use, but still pay for with many cards. Regular travellers will be able to derive maximum benefit from the travel insurance and the interest-free period on their first Qantas purchase. If that travel extends to overseas trips, they’ll reap extra rewards from the high and uncapped points earning rate for foreign currency purchases. And this all comes for one of the lowest available annual fees for a QFF-points-earning card. Balance transfers 0% p.a. 9 months 0% 80% of credit limit 21.99% p.a. Purchases 0% p.a. 9 months N/A N/A 19.99% p.a.